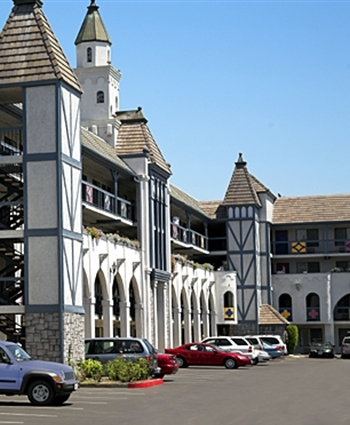 Located Across the Street from Disneyland® Resort Enhance your Disneyland® vacation when you stay in our lovely castle. 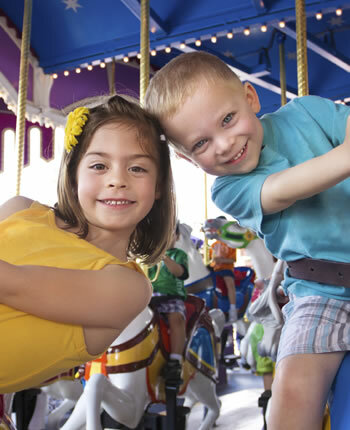 Enjoy family fun at Castle Inn and Suites, an Anaheim hotel located across the street from Disneyland® Resort and all its magical theme parks and entertainment districts, including the Downtown Disney® District. This location makes our family-owned hotel the perfect spot for a family or group vacation, though we’re also ideal for business travelers visiting the Anaheim Convention Center less than half a mile away. Choose from an array of cozy guest rooms or upgraded suites for you stay, complete with amenities like coffeemakers, work desks, and cable TVs. 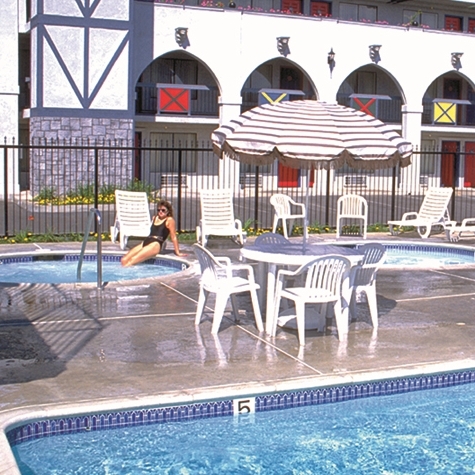 After a busy day at the local theme parks or convention center events, everyone can relax in our heated outdoor pool or grab something delicious to eat at the several local restaurants within walking distance from our castle. With stellar accommodations and generous amenities, our guest suites will make your vacation in Anaheim memorable. Take in the view of our cool castle décor and gets the kids excited about your upcoming family vacation to Disneyland®! Make the most of your trip when you purchase tickets in advance. Luckily you can take care of everything you'll need right here from our site!